Will the next Bachelor be a Seattleite? The latest contestant to be eliminated from ABC's dating show "The Bachelorette" is a fan-favorite for next season's Bachelor. 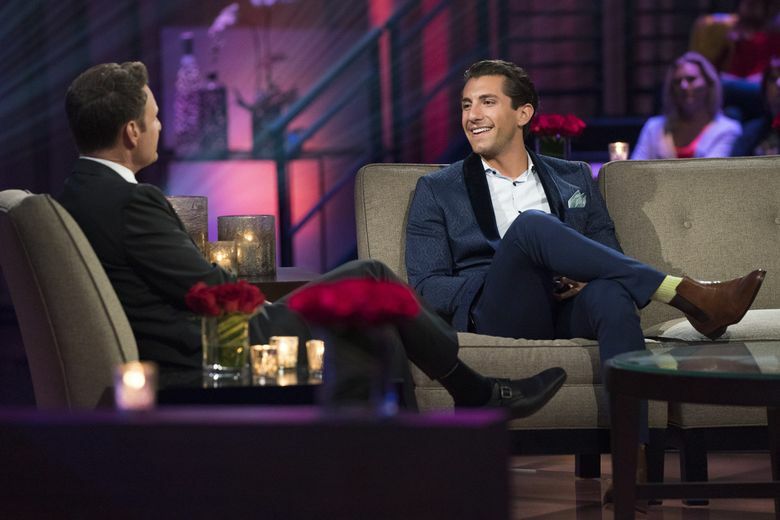 Unless you’re a die-hard fan of “The Bachelorette,” you might not know that one of this season’s top contestants, Jason Tartick — the latest of a group of mostly eerily similar-looking men to be turned down in Becca Kufrin’s weekslong race for lifelong love — is a Seattleite. Despite emphasizing his Buffalo, New York, origins throughout the season (even borrowing a family friend’s home so he could film the hometowns episode in Buffalo), he’s proud to live in the Emerald City. He’s into distinct, unique neighborhoods (his favorite is Capitol Hill for the “food and the energy”). And he says he feels “integrated” into the “community and culture” — maybe a little reality-show charisma is all it takes to beat the Seattle Freeze? Rubbing elbows with one of TV’s most conventionally attractive eligible bachelors while you sip on a $25 glass of rosé and bask in midsummer views of Elliott Bay may sound enticing, but since being “blindsided” by his breakup with Kufrin, Tartick has yet to get back into the dating scene. If “Bachelorette” fans have anything to do with it, he will soon — and we’ll be able to watch every moment of it. Aside from social-media rumors, there are some concrete reasons that Tartick would be in the running: the third-place guy on “The Bachelorette” is often a top contender for the main spot on “The Bachelor.” Fans love him: extremely scientific Twitter polls pitting Tartick against other potential Bachelors seem to always result in him winning by a landslide. And — while Tartick is adamant that no decisions have been made — he’s open to the idea. On second thought… A successful, single man, eager to meet someone (and without a toe in the tech industry)? Maybe he should stay.